David Kirschner is Chair of Pine Crest School's Board of Trustees. 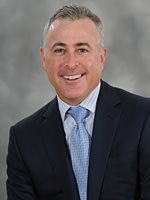 David is Managing Director at Goldman, Sachs & Co., where he has spent the last 20 years as a member of the Investment Management and Investment Banking Divisions in Palm Beach and New York. David lives in Delray Beach with his wife, Julie, and their three Pine Crest Panthers, Sara '18, Will '21, and Tommy '25.